Colorado EOSS-202 Balloon Flight Carrying Amateur Radio Payloads "Awesome"
ARRL Pacific Section Manager Bob Schneider, AH6J, said this week that Amateur Radio Emergency Service (ARES) volunteers on the Big Island of Hawaii are ready to activate, if needed, in response to the Puna lava flow. "It's basically on the edges of the populated part of town [of Pahoa]," Schneider said on October 30. "At this point, it's 'get ready and see what happens.'" Like the 1958 horror movie "The Blob" -- indescribable, indestructible, and nothing can stop it! -- by late in the week, the lava flow was threatening to consume dozens of homes in Pahoa and cut across the town's main highway. The lava claimed its first structure -- a shed -- on October 28. Schneider said the flow oozed across a cemetery this week too. The lava originated from new "vents" in the Earth as a result of the Mt Kilauea volcano, which began erupting more than 30 years ago. After grinding to a halt nearly a month ago, the lava flow recently resumed its slow and devastating crawl toward populated areas. Now the National Guard has been called out, and some 20 families have been ordered to evacuate. Hawaii's Civil Defense has been fully deployed. Lava flows are nothing new to Hawaiians; Schneider and others call them "a slow-motion disaster." In September ARRL deployed Ham Aid kits to Hawaii for a possible lava flow response then. As it turned out, ARES members there needed the gear for Hurricane Ana first, since the lava flow had abated by the time the equipment got to Hawaii. Schneider told ARRL Headquarters this week that District Emergency Coordinators were establishing area-specific ARES standard operating procedures in the event of an activation. "[East Hawaii DEC Kim Fendt, WH6HIM] has put together a volunteer shelter-response team," Schneider said. "They all realize that this may involve multiple shifts for a considerable time." 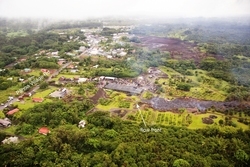 Hawaii County Puna Makai District Councilor Greggor Ilagan reported that the flow was advancing at a rate of up to 17 yards per hour. At 2000 degrees Fahrenheit, the lava incinerates nearly everything in its path, generating smoke and leaving flames behind. Residents downwind with smoke sensitivity or respiratory problems were being advised to "take necessary precautions" and to remain indoors. According to Schneider, conventional telecommunication systems are "solid" for now, and there is no critical need for an ARES activation, although, he conceded, that could change once the lava crosses the road. "Power to the area is still holding," he reported. Schneider told the ARRL that the power company attempted to protect some tall wooden utility poles by surrounding them with rocks and dirt, but the lava simply consumed the poles from the bottom, making them appearing to sink into the ground. "We did have a brief power outage [October 28], and the emergency net came up right away," Schneider recounted. 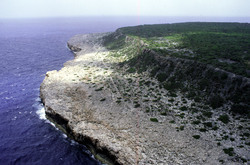 "From what we could tell it was mostly on the east side of the island." Schneider said schools in Pahoa have been closed, and a shelter location has been established, but, he explained, due to the "slow-motion" aspect, residents have had time to deliberate their evacuation plans. 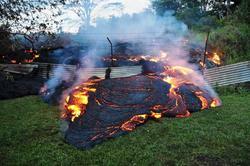 The lava flow has affected Election Day plans for some 2000 voters. Those who normally vote at the Pahoa Community Center now will cast their ballots at the Hawaiian Paradise Community Center. "FEMA is offering a course on how to handle the psychological effects of this thing," Schneider added. "[A] lot of people are having trouble dealing with it." 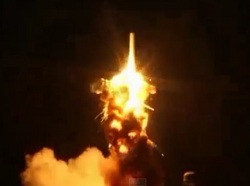 The RACE and GOMX-2 CubeSats, both carrying Amateur Radio payloads, were among more than 2 dozen satellites lost after an unmanned Orbital Space Sciences (OSC) Antares 130 vehicle exploded spectacularly shortly after launch at 2222 UTC on Tuesday, October 28, from the Mid-Atlantic Regional Spaceport at Wallops Island on Virginia's Eastern Shore. The Antares is a new medium-class launch vehicle developed by OSC. The rocket exploded about 6 seconds after launch, sending a huge ball of fire hurtling toward the ground and igniting a massive fire at the NASA launch site. "While NASA is disappointed that Orbital Sciences' third contracted resupply mission to the International Space Station was not successful today, we will continue to move forward toward the next attempt once we fully understand today's mishap," said William Gerstenmaier, Associate Administrator of NASA's Human Exploration and Operations Directorate. "The crew of the International Space Station is in no danger of running out of food or other critical supplies." Indeed, a smaller resupply mission, launched from Russia, reached the ISS the next day. The Radiometer Atmospheric Cubesat Experiment (RACE) CubeSat was a joint project of The Texas Spacecraft Laboratory (TSL) at the University of Texas-Austin and NASA's Jet Propulsion Laboratory (JPL). Built by a 30-student team, it carried a 183 GHz radiometer, a new science instrument designed by JPL. The spacecraft was equipped to transmit using GMSK at 38.4 k and CW telemetry on a downlink frequency of 437.525MHz. TSL's Glenn Lightsey, KE5DDG, a UT engineering professor, oversaw the student project that worked hand-in-hand with NASA staff in creating a satellite that aimed to measure water vapor in Earth's atmosphere. "It's unfortunate, but it is also part of the aerospace industry," Lightsey told the Texas Statesman newspaper. "The nature of building space vehicles is that it is not a 100 percent reliable process. Getting into space is really the hardest part." 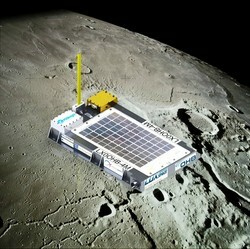 The 2U GOMX-2 CubeSat was intended to test a de-orbit system designed by Aalborg University in Denmark. Karl Klaus Laursen, OZ2KK, is listed as the "responsible operator" on International Amateur Radio Union frequency coordination documents. The Amateur Radio payload proposed using a 9.6 k MSK data downlink on 437.250 MHz. Also on board was an optical communications experiment from the National University of Singapore. The mission also aimed to flight qualify a new high-speed UHF transceiver and SDR receiver built by an Aalborg University team. More than 2 weeks after Cyclone (hurricane) Hud Hud hit Vishakhapattanam and surrounding communities on India's Bay of Bengal, radio amateurs are continuing to provide communication support to authorities and residents. In the storm's immediate aftermath, all communication with Vishakhapattanam -- known as "Vizag" -- and the wider region was via Amateur Radio. With electric power knocked out, no mobile or landline telephone service was available, but Amateur Radio Society of India (ARSI) National Coordinator for Disaster Communication Jayu Bhide, VU2JAU, said the Amateur Radio emergency communication network ran smoothly. Bhide told ARRL that it will take some time before things are back to normal in the stricken region. NIAR volunteers Tom Jose, VU3TMO, and Yamini Sadineni, VU2YAM, both of Hyderabad, operated from a police station in Vizag. Sadineni was among the international visitors to the ARRL National Centennial Convention in Hartford this past June. Jose, at 15, is one of India's youngest active radio amateurs. His parents, his brother, and his grandfather all are hams. "The debris is getting cleared [and] rehabilitation is in progress," he reported over the weekend. 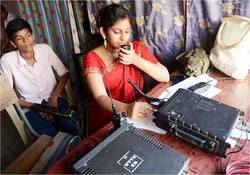 A half-dozen radio amateurs from Odissa have been assisting both authorities and the public with communication. Bhide said a few stations working under the National Institute of Amateur Radio (NIAR) banner set up to assist with police and other administrative communication needs. "The landline telephones are under repair, and part of [the system] has started working," Bhide said. "Mobile towers also are under repair and will be in working condition soon." He said authorities have been working hard to make drinking water available to the public. Fifteen-year-old Tom Jose, VU3TMO, was among the NIAR volunteers. According to an article in The Hindu, Tom was stationed at the Vishakhapattanam police station, receiving message traffic from other radio amateurs in the cyclone-affected areas and passing it on to the administration for relief measures. The EOSS-202 mission balloon just after launch, trailing its payload string. "It was awesome," said Paul Veal, N0AH, a Rocky Mountain Division Assistant Director and AB0X trustee. "It was simply the best weather any of us could have hoped for. According to EOSS, our flight reached one of the highest altitudes they've had in years -- nearly 104,000 feet!" Veal said a large number of young students participated "with great enthusiasm throughout the morning cold at sunrise throughout the heat of the day." Several of the more than 2 dozen students taking part in the project are radio amateurs. The "AB0BX Spartan Space Sciences" mission carried seven student-designed payloads aloft. All payloads were retrieved after the balloon burst, at first tumbling and then descending gently to Earth borne by a parachute. 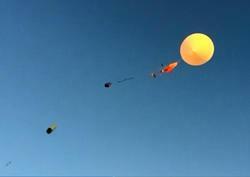 Video from the ground was able to capture the balloon's burst as it attained its maximum altitude. The onboard ham radio payloads served to track the balloon during flight and recovery and also transmitted telemetry during the mission. Veal said the only major snafu involved the onboard Go-Pro cameras, which were equipped with 8 GB cards. "We really needed 32 GB [cards], so we got awesome pictures but only up to around 80,000 feet," he explained. 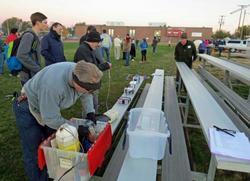 Volunteers prepare AB0BX Spartan Space Sciences mission payloads on launch day. Veal said a parent-led chase team convoy was able to see with the naked eye the sun's light reflecting from the balloon when it was more than 84,000 feet up. "This included several parents and students who tagged along in 13 vehicles -- around 50 of us altogether." The balloon traveled more than 70 miles, 19 more than predicted. "The farming-ranching community in and around the recovery area near Cope, Colorado, gladly helped us to recover the balloon on private land," Veal said. "All payloads were recovered with no serious damage." "Data from the various experiments, along with photos and videos from EOSS and spectators, will be collected in the next few weeks," said Veal. "I am hoping that the school can create a student team to formulate a digital book to count toward credit." As a result of the balloon project, he said, several project-based lesson plans for grades 6 through 12 can be formulated along STEM standards. Bidding in the ninth annual ARRL On-Line Auction concludes on Thursday, October 30 (October 31 UTC). Bid closing times are staggered beginning at 0230 UTC and finishing at 0307 UTC on October 31. More than 230 items are on the block, including 24 pieces of gear that were the subject of QST "Product Review" articles. One-of-a-kind items include a hardcover 2014 Centennial edition of The ARRL Handbook, imprinted with "Hiram Percy Maxim, W1AW," and a hardcover edition of the 2014 Centennial Handbook bearing serial number 100. Other unique items include an autographed script from the "Last Man Standing" TV show, starring Tim Allen, who plays a radio amateur on the show and now is licensed for real. Primo items include Kenwood's top-tier TS-990 transceiver, the recently reviewed Hilberling PT-8000A transceiver, and the TEN-TEC Argonaut VI HF QRP transceiver. Check items in which you have an interest, as bidding end times for each item are staggered. Previous ARRL On-Line Auction participants may log into the auction site using the password they've already established. Check your ARRL user profile to ensure that all address and credit card information remains the same. Those who are not registered and have not yet place a bid must first register in order to participate. The Amateur Radio on the International Space Station (ARISS) program has announced that the application window is open for proposals from formal and informal educational institutions and organizations to host an Amateur Radio contact with an ISS crew member. The deadline to submit proposals is December 15. Educational entities may apply individually or in concert with other institutions or organizations. 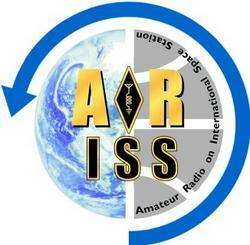 ARISS anticipates that ham radio contacts with the space station will take place between May 1 and December 31, 2015. "Crew scheduling and ISS orbits will determine the exact contact dates," the ARISS announcement explained. "To maximize these radio contact opportunities, ARISS is looking for organizations that will draw large numbers of participants and integrate the contact into a well-developed education plan." Since December 2000, crew members aboard the International Space Station have taken part in scheduled Amateur Radio contacts with students on Earth. Contacts typically last about 10 minutes -- depending upon the ISS orbit -- and follow a question-and-answer format. Schools and educational organizations are encouraged to partner with a local Amateur Radio club or group to handle the technical aspects of the contact. An ARISS contact is a voice-only communication opportunity via Amateur Radio between astronauts and cosmonauts aboard the space station and classrooms and communities. ARISS contacts afford education audiences the opportunity to learn firsthand from astronauts what it is like to live and work in space and to learn about space research conducted on the ISS. Students also will have an opportunity to learn about "satellite communication, wireless technology, and radio science." The ARRL website has more information about the program, including details on expectations, audience, proposal guidelines and application form, and dates and times of informational sessions. Contact ARISS with any questions or for additional information. ARISS is a cooperative educational initiative of the ARRL and AMSAT, in partnership with NASA and other international space agencies. The ARRL Centennial W1AW portable operations taking place throughout 2014 from each of the 50 states are now in Wyoming, Massachusetts, and the US Virgin Islands. They will transition at 0000 UTC on Wednesday, November 5 (the evening of November 4 in US time zones), to Kansas (W1AW/0) and Washington (W1AW/7). Some W1AW/0 operation from Kansas will take place from the Marshall Ensor Memorial Organization Amateur Radio Club in Olathe. In addition, W1AW/KH8 will be on the air from American Samoa starting on Sunday, November 2, with operation continuing for about 12 days. So far during 2014, W1AW has visited each of the 50 states for at least 1 week, and by year's end W1AW will have been on the air from every state at least twice. The recently launched 4M (Manfred Memorial Moon Mission) Amateur Radio payload completed its loop around the moon on October 28 between 0030 and 0215 UTC. Among the 13-character onboard messages posted prior to launch was a encomium for Manfred Fuchs, to whom LUXspace dedicated the mission. 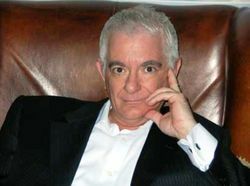 Fuchs was the founder of LUXspace parent OHB. Roland Zurmely, PY4ZBZ, the first station to receive the 4M signal, was also the first to piece together the 158 JT65B 13-character messages comprising dedication, which described Fuchs as playing "an outstanding role in the European space industry over the last decades." Fuchs died earlier this year at the age of 75. The 4M payload downlink is on 2 meters (145.980 ±Doppler shift), transmitting continuously at a power of 1.5 W into a quarter-wave monopole. For its first 12 hours, the 4M payload was powered by rechargeable batteries. It then switched automatically to non-rechargeable high-energy density cells. Even as the spacecraft is on its return trajectory, receiving the signal requires a high-gain antenna. Stations in the Southern Hemisphere have the best chance of hearing the 4M payload. Radio amateurs have been encouraged to receive and report the spacecraft's signals. As of October 29, the spacecraft was some 255,000 miles from Earth. A 4M tracking calculator and payload blog also are available. A Chinese Long March 3C/G2 rocket carried the 4M lunar flyby experiment into space at 1759 UTC on October 23 as a private payload on China's Chang'e-5-T1 mission. Chang'e-5-T1 represents the third phase of China's lunar exploration program, aimed at validating technologies for a future lunar sample return probe. If successful, this mission would mark the first successful re-entry of a Chinese space vehicle into Earth's atmosphere. The KP1-5 Project has received word from the US Fish & Wildlife Service (USFWS) that it may activate Navassa Island (KP1) in January 2015. The DXpedition, using the call sign K1N, will be a maximum of 14 days, and exact dates will be determined by USFWS mission requirements and weather windows. "Our experienced team of 15 is complete and is ready for the challenge," said an October 22 KP1-5 Project news release from President Bob Allphin, K4UEE, and Vice President Glenn Johnson, W0GJ. "The weeks ahead will be extremely busy as the team has less than 90 days before the DXpedition comes on the air." As the announcement explained, January is the month of minimum bird nesting activity, and the USFWS had asked that the operation be completed during that month. Weather is unpredictable in January, however, and because Navassa is surrounded by cliffs, a safe landing by boat would be difficult or impossible. "For safety reasons and in order to maximize our time on the island and on the air, a helicopter operation is planned," the team's news release said. "Navassa is over 100 miles (160 km) from the nearest helicopter staging point, and as many as 10 round trips will be required at the beginning and end of the operation. Obviously, this means that there will be a significant cost for activating this No 1 ranked DXCC entity." The KP1-5 Project said it will be working with USFWS over the next few weeks to firm up details. The KP1-5 Project team has committed to fund 50 percent of the DXpedition's tab. "We are hopeful the DX community at large will fund the remainder," The announcement concluded. INDEXA has announced that it will provide substantial financial support for the Navassa Island KP1-5 Project DXpedition. More than half of the DXpedition team members are INDEXA officers, directors, and members. In other pending-DXpedition news, landing permission has been granted by the Norwegian Polar Institute for a DXpedition on Bouvet (3Y/B). Landing permission covers the period from mid-January to mid-April 2016. Indonesia's new national leaders are both Amateur Radio licensees. 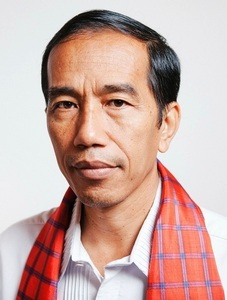 Indonesia's new president Joko "Jokowi" Widodo, YD2JKW. President Joko "Jokowi" Widodo, YD2JKW, holds a General class license. Vice President Jusuf Kalla, YC8HYK, is an Advanced class licensee. Elected in July, Jokowi, 53, and Kalla, 72, were inaugurated on October 20 in Jakarta. Indonesia is the world's third-largest democracy, with a population of approximately 250 million. Secretary of State John Kerry represented the US at the inauguration and met with the new president afterward. Jokowi previously served as Governor of Jakarta and as Mayor of Surakarta. The Northern California DX Club (NCDXC) has donated a radio and accessories to Robert Felicite, 3B9FR, to keep his Rodriguez Island station on the air. According to Rusty Epps, W6OAT, Felicite had been seeking help to get his current transceiver repaired, and Epps raised the topic at the club's September meeting. Members were eager to help. Ross Forbes, K6GFJ, offered to donate an entire station that he was not using to help 3B9FR get back on the air. Kip Edwards, W6SZN, and Rich Stempien, W6RS, made sure the transceiver was in good operating condition before shipping it off to Rodriguez Island. The NCDXC sent an Icom IC-756PROIII transceiver, Icom SP-23 speaker and SM-20 desk mic, and a hand mic, as well as a MicroHAM microKEYER interface and a Heil Pro-Set Plus! Headset -- along with all documentation and cables. 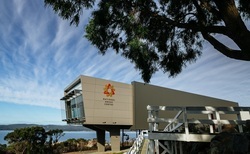 The ANZAC National Centre in Albany, Western Australia. at 1600 UTC on October 31, from Albany, Western Australia. The operation will commemorate the centennial of the departure from Albany of the first ship convoy transporting Australian and New Zealand troops, later known as ANZAC -- Australian and New Zealand Army Corps -- to the World War I battlefront in Europe. The operation, being carried out by the Southern Electronics Group VK6SR, will be on 160-10 meters, with operation primarily on SSB. CW and digital mode operation is possible. projects supervisor and secretary of the ARRL Foundation, assisting young Amateur Radio operators to secure college scholarships and administering the prestigious Goldfarb Memorial Scholarship. Lau headed the Field and Educational Services support team that produced the "Leap into Amateur Radio" brochure aimed at elementary schoolers. She also contributed technical assistance in the preparation of the Active Club Primer. She edited the "At the Foundation" column for QST while she was the Foundation secretary. 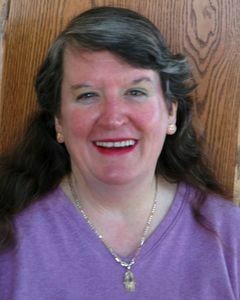 "Mary loved radio, was a hard worker, creative at finding solutions, would bull-dog things she believed in, was quite enthusiastic about learning new things, empathetic to anyone who came to her, super organized, happy to be at ARRL Headquarters, and was overall a 'glass is half full' type of person," said former ARRL Field and Educational Services Manager Rosalie White, K1STO. A native of Los Angeles, Mary also spent some time in the Pacific Northwest, where she became licensed as N7IAL. She met her husband Zack, W1VT, at ARRL Headquarters, and she enjoyed many fun operating activities over the years. Read more. Mirage Communications, now a part of MFJ. He was also the "K" in KLM Electronics, Inc, which he co-founded with Leeland "Mel" Farrer, K6KBE, and Mike Staal, K6MYC. 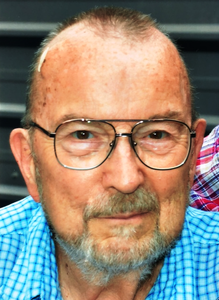 A radio amateur from his high school days and an ARRL Life Member, Holladay was a California native and attended San Jose Junior College. He wrote several articles in the 1960s and 1970s for Ham Radio magazine and for QST. He and his wife Jacqui published Electro Buyers Guide. He was an active builder and experimenter on the VHF and UHF bands and was an early participant in EME activity on 50 MHz and 1296 MHz. Read more. Orr, W6SAI, Technical Writing Award. He was cited for his article "Electromagnetic Pulse and Its Implications for EmComm," which appeared in the November 2009 issue of QST. A photo story in "Up Front in QST" in January 1993 noted that President George H.W. Bush had made an official visit to Springfield, New Jersey, to meet with local and state officials. One of those officials was Jeff, WB2DCJ, who coaxed the President into greeting some locals on 2 meters. "Hey, how are you guys doing?" Bush said on the radio. "Nice to talk with you." That same issue of QST noted that DXCC credit was now being given for contacts with three new entities -- Croatia, Slovenia, and Bosnia-Hercegovina -- that emerged from the breakup of the former Yugoslavia. By 1993, as the number of licensed amateurs increased, so did the number of intentional violations of FCC rules.The Commission responded by getting tough and levying severe fines on intentional wrongdoers, and in some cases taking offenders to court. The July 1993 issue of QST published the tale of K3KMO's 10,500 mile motorcycle trip from Maryland to Alaska and back, all the while operating HF CW in motion. CW contacts with hams all over the world helped while away the long hours driving along the road. In the 1970s, the FCC banned amateur communications for business purposes. The vague wording of those rules became interpreted in a progressively stringent manner over the years, however, curtailing the use of Amateur Radio to support even meritorious public service activities. In July 1993, the FCC changed its rules to allow hams to provide communication for worthwhile public service activities. The final rules were adopted almost verbatim from the suggestion made by ARRL. Tad Cook, K7RA, Seattle, Washington, reports: Strong solar activity continued this week, with average daily sunspot numbers rising 36 points to 119.9 and average daily solar flux up 24 points to 198. If you are recording solar flux and sunspot data, the DRAO site in Penticton has its archive (text) (HTML) of solar flux data now current, and it's updated three times per day. You can also download an update of the data file for Scott Craig's solar data plotting utility. You can update the data file weekly using this bulletin. The current prediction has daily solar flux at 145 on October 30, 135 on October 31 through November 2, 130 on November 3-4, 120 on November 5-6, 165 and 160 on November 7-8, 165 on November 9-10, 175 on November 11-12, then peaking at 200 on November 19-20, and reaching a low of 110 on December 12. The predicted planetary A index is 12 on October 30, 8 on October 31 through November 4, 12 on November 5, 8 on November 6-7, 5 on November 8-9, 8 on November 10-11, then 5 and 8 on November 12-13, 12 on November 14-15, then 22, 15 and 10 on November 16-18, and 8 on November 19-21. Conditions should be good this weekend for ARRL November Sweepstakes CW. This is the weekend that Daylight Saving Time ends, but UTC is consistent, so you don't get another hour of contesting when the clocks "fall back" by 60 minutes on Sunday at 2 AM local time. If you are not a diehard contester, you might still enjoy handing out contacts to the bleary-eyed, hungry hordes in final hours of the event -- especially if you happen to live in a rare or semi-rare ARRL/RAC section. A story, "Actor Tim Allen Gets His Ham Ticket for Real," in the October 2, 2014, edition of The ARRL Letter contained incorrect information about one of the show's characters. It should have read, "Allen plays Mike Baxter, KA0XTT, and the show, which starts its new season October 3, has featured ham radio in some episodes (Allen's TV daughter, Mandy Baxter, is KF0XIE)." November 2 -- DARC 10-Meter Digital "Corona"